1.1. In General. Any opinions expressed by the contributors, authors and moderators who post content to Business of Architecture are the personal opinions of the authors, not of Business of Architecture, whether or not the authors are employees or contractors of Business of Architecture The Content (as defined below) is provided for informational and entertainment purposes only and is not meant to be an endorsement or representation by Business of Architecture or any other party. 1.2. Ownership. The Content (as defined below) on the Services is intended for your personal, noncommercial use only. Commercial use of any of the Content or Services is strictly prohibited. The Services and all materials published and/or distributed on or through the Services (including, but not limited to news articles, photographs, images, illustrations, audio clips and video clips) (collectively, the “Content”) are protected by copyright pursuant to U.S. and international copyright laws, and are owned or controlled by Business of Architecture or the party credited as the provider of the Content. Except as set forth in Sections 1.3 and 5.4 of this Agreement, you may not modify, publish, transmit, adapt, participate in the transfer or sale of, reproduce, create new works from, distribute, perform, display, or in any way exploit, any of the Content in whole or in part, without the express written consent of Business of Architecture or the copyright owner identified in the copyright notice in the Content. You agree not to change or delete any proprietary notices that appear in the Content. You may not use any Business of Architecture logo or proprietary graphic or trademark without Business of Architecture’s express written permission. You shall abide by all additional copyright notices, information, or restrictions contained in any Content accessed through the Services. As between the parties, title, ownership rights, and intellectual property rights in the Content and Services, and any copies or portions thereof, shall remain in Business of Architecture and/or its content providers or licensors. Business of Architecture reserves any rights not expressly granted in this Agreement. 1.3. Limited License. Subject to your strict compliance with this Agreement, Business of Architecture grants you a limited, revocable, non-transferable, non-assignable and non-exclusive license to access, download (temporary storage only), display, view, use, play and/or print the Content (excluding, for purposes of this Section 1.3, Content accessed through Business of Architecture Insider and further excluding source and object code in raw form or otherwise, other than as made available to access and use via a standard web browser to enable display) on a personal computer, mobile phone or other wireless device, or other Internet enabled device, for your personal noncommercial use only, subject to the restrictions set forth in this Agreement. The foregoing limited license (A) does not give you any ownership of, or any other intellectual property interest in, any Content, and (B) may be immediately suspended or terminated for any reason, in Business of Architecture’s sole discretion, and without advance notice or liability. 2.1. Prohibited Actions. You are solely responsible for your communications on and your use of the Services. You agree not to do any of the following: (A) post or transmit any libelous, defamatory, indecent, obscene, fraudulent, deceptive, abusive or pornographic message, data, image, content or program; (B) post or transmit any message, data, image, content or program that would violate any property rights of others; (C) use the Services to threaten, harass, or otherwise violate the legal rights (including rights of privacy and publicity) of others; (D) upload or download files that contain software, marks, logos, data, images, content or other material protected by intellectual property laws, rights of privacy or publicity, or any other applicable law, unless you own or control the rights to such files or material or have received all necessary consents; (E) upload files that contain a virus or corrupted data; (F) falsify the source or origin of software or other material contained in a file that you upload to the Services; (G) falsely purport to be an employee or agent of Business of Architecture; (H) act, in your use of the Services, in a manner that is contrary to applicable law or regulation; or (I) circumvent, disable or otherwise interfere with security-related features of the Services or features that prevent or restrict use or copying of any Content or enforce limitations on use of the Services or the Content. 2.2. Business of Architecture’s Exclusive Right to Manage the User Submissions. You acknowledge that any materials and other information (including, without limitation, ideas contained therein for new or improved products or services) you post, upload, or submit to the Services, including but not limited to comments, forum messages, reviews, text, video, audio, photographs, computer code and applications (each, a “User Submission”) may be edited, removed, deleted, modified, published, transmitted, and displayed by Business of Architecture in its sole discretion and without your permission, and you waive any rights you may have (including any moral rights) in preventing the material from being altered or changed in a manner not agreeable to you. You expressly agree that we may remove, disable or restrict access to or the availability of any User Submissions from the Services at any time, for any reason or for no reason at all. Business of Architecture reserves the right to treat User Submissions as content stored at the direction of users for which Business of Architecture will not exercise control except to block or remove content that comes to Business of Architecture’s attention and is offensive, obscene, lewd, lascivious, filthy, violent, harassing, threatening, abusive, illegal, libelous, defamatory, fraudulent, deceptive, misleading or otherwise objectionable to Business of Architecture, or to enforce the rights of third parties or the content restrictions set forth below in this Agreement when notice of their violation comes to Business of Architecture’s attention. However, Business of Architecture shall not be responsible for controlling or editing any Content, and Business of Architecture has no contractual obligation to remove inappropriate or unlawful Content. Under no circumstances will we be held liable for removing, disabling or restricting access to or the availability of Content. 2.3. License to Business of Architecture of Your User Submissions. You hereby grant to Business of Architecture, and you agree to grant to Business of Architecture, a perpetual, royalty-free, non-exclusive, irrevocable, unrestricted, unconditional, unlimited, worldwide and cost-free license to use, copy, record, disclose, sell, re-sell, sublicense, reproduce, distribute, redistribute, modify, adapt, publish, edit, translate, transmit, create derivative works of, broadcast, publicly perform, display or otherwise exploit in any manner whatsoever, all or any portion of your User Submissions (and derivative works thereof), for any purpose whatsoever in all formats, on or through any media, software, formula, or technology whether by any means and in any media now known or hereafter developed and to sublicense such rights through multiple tiers of sublicenses, and to advertise, market and promote the same. In order to further effect the rights and license that you grant to Business of Architecture to your User Submissions, you also hereby grant to Business of Architecture, and agree to grant to Business of Architecture, the unconditional, perpetual, irrevocable right to use and exploit your name, persona, image, photograph, and likeness that you provide in connection with any User Submission, without any obligation or remuneration to you. Except as prohibited by law, you hereby waive, and you agree to waive, any moral rights (including attribution and integrity) that you may have in any User Submissions, even if your User Submissions are altered or changed in a manner not agreeable to you. You agree that you shall have no recourse against Business of Architecture for any alleged or actual infringement or misappropriation of any proprietary right in your User Submissions. You further acknowledge and agree that no compensation will be paid with respect to the use of your User Submissions or any of the rights granted in this Section 2.3. 2.4. Representations and Warranties Related to Your User Submissions. Each time you submit a User Submission, you represent and warrant that, as to that User Submission, (A) you are the sole author and owner of the intellectual property and other rights to the User Submission, or you have a lawful right to submit the User Submission and grant Business of Architecture the rights to it that you are granting by this Agreement, all without any Business of Architecture obligation to obtain consent of any third party and without creating any obligation or liability of Business of Architecture; (B) the User Submission is accurate; (C) the User Submission does not and, as to Business of Architecture’s permitted uses and exploitation set forth in this Agreement, will not infringe any intellectual property or other right of any third party; (D) the User Submission will not violate this Agreement, or cause injury or harm to any person; and (E) the User Submission complies with all applicable laws and regulations. 2.5. Responsibility of Users. You are entirely responsible for the content of, and any harm resulting from, your User Submissions. Business of Architecture does not assume any responsibility or liability for any User Submissions posted on the Services or any website linked to the Services and makes no express or implied warranty or guarantee about the accuracy, copyright compliance, legality, or any other aspect of the User Submissions. 2.6. Non-Confidentiality of Your User Submissions. The Services are available to the public, and your User Submissions, along with information concerning your identity that you provide to Business of Architecture (including your name, image, employer and location), may be publicly available. Do not post information you consider confidential to the Services. In addition, you agree that Business of Architecture may reveal your identity and whatever information we know about you to any law enforcement agent or official in the event of legal action or a legal request arising from any User Submission made by you. If you believe in good faith that material or Content available on Business of Architecture infringes a copyright or other intellectual property right that you own or for which you are a beneficial owner or exclusive licensee, you are encouraged to notify Business of Architecture in accordance with Business of Architecture’s Copyright or Intellectual Property Infringement Notification Policy, currently accessible at http://BusinessofArchitecture.com/copyright/. It is our policy to terminate, in appropriate circumstances, the access rights of repeat infringers. 5 .1. In General. Business of Architecture offers the opportunity to sign up to obtain enhanced content and features through Business of Architecture Insider. By using or accessing any products, content, features, services or events offered through Business of Architecture Insider, you agree to be bound by the terms and conditions of this Section 5, which are specific to use of Business of Architecture Insider and shall not apply to the use of any of the Services other than Business of Architecture Insider. 5.2. Business of Architecture Insider Account. In order to access certain features of Business of Architecture Insider, you will be required to create an online account (the “Pro Account”). You agree to: (A) take reasonable measures to maintain the security of your user identification, password and other information relating to your Pro Account; (B) refrain from sharing your Pro Account password or from allowing access to your Pro Account by any third party; (C) be solely responsible for the security, confidentiality, legality and integrity of all messages and content that you receive, transmit or store using Business of Architecture Insider and the Pro Account; (D) be responsible for all charges resulting from use of your Pro Account, including unauthorized use prior to your notifying Business of Architecture in writing of such use and taking steps to prevent its further occurrence, including by changing your password; (E) comply with the terms and conditions set forth herein; and (F) comply with all applicable U.S. and international laws, statutes, ordinances, rules, regulations, contracts and applicable licenses regarding your use of Business of Architecture Insider. Business of Architecture charges a subscription fee (“Fees”) for the use of Business of Architecture Insider. By registering for a Pro Account, you agree to pay Business of Architecture the Fees applicable to the account level chosen. Unless otherwise stated, all Fees are in U.S. Dollars. Business of Architecture expressly reserves the right to change the Fees at any time, upon notice to you. The Fees do not include any payment for telecommunications and computer hardware, software, telecommunications access charges, lines or connections or other equipment and services required to access and use Business of Architecture Insider, which shall be your sole responsibility. All Fees will be billed to your credit card at the current international currency conversion rate. You are responsible for and shall pay Business of Architecture all currency conversion charges, sales, use, value-added, personal property or other tax, duty or levy of any kind, including interest and penalties thereon (collectively, “Taxes”) for the use of Business of Architecture Insider, whether imposed now or hereinafter by any governmental entity. For any upgrade or downgrade in plan level that you elect, your credit card will automatically be charged the new rate on your next billing cycle. All Fees are paid in advance and are non-refundable. 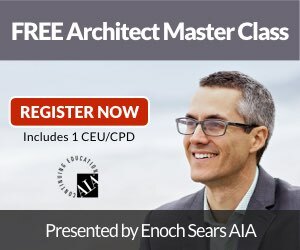 There will be no refunds or credits for partial months of service, upgrades/downgrades, or for months when you did not use Business of Architecture Insider. We reserve the right to deactivate your access to Business of Architecture Insider if you fail to pay applicable fees. You must provide current, complete and accurate billing information. You must promptly update all billing information to keep your account current, complete and accurate (such as by furnishing a new billing address, card number or expiration date), and you must promptly notify Business of Architecture if your credit card is canceled (including if you lose your card or it is stolen), or if you become aware of a potential breach of security (such as an unauthorized disclosure or use of your name or password). You authorize us to obtain updated or replacement expiration dates for your credit card in the event that the credit card you provided us expires. We reserve the right to charge any renewal card issued to you as a replacement. You agree to promptly pay Business of Architecture in the event of any refusal of your credit card issuer to pay any amount to Business of Architecture for any reason. You agree to pay all costs of collection, including attorney’s fees and costs, on any outstanding balance. In the event you fail to pay any amount when due, Business of Architecture may immediately suspend or terminate this Agreement and your access to Business of Architecture Insider. View the Business of Architecture Insider Content while accessing Business of Architecture Insider. Download or print one copy of any Business of Architecture Insider Content for personal use. Incorporate, on a non-systematic and non-routine basis, a small excerpt of the Business of Architecture Insider Content (e.g., a few lines of text, a paragraph, a specific graphic, chart or graph) within a report or presentation that is distributed to an audience that is internal to the company for which you are employed (“your company”), as long as you attribute Business of Architecture Insider as the source. Briefly summarize, on a non-systematic and non-routine basis, Business of Architecture Insider Content in your own words, and distribute the summary to an audience that in internal to your company in connection with a specific project, as long as you attribute Business of Architecture Insider as the source. Distribute, in digital or hard copy, Business of Architecture Insider Content for which you have purchase reprint rights, to audiences inside or outside your company. If your Pro Account was obtained under an enterprise license made by your company, distribute Business of Architecture Insider Content in accordance with the terms of that license. Except as expressly provided in this Section 5.4, you may not post or otherwise distribute Business of Architecture Insider Content (e.g. via hard copy, email, and/or posting on intranet, company bulletin boards or other information storage & retrieval systems). The foregoing limited license (A) does not give you any ownership of, or any other intellectual property interest in, any Business of Architecture Insider Content, and (B) may be immediately suspended or terminated for any reason, in Business of Architecture’s sole discretion, and without advance notice or liability. THE SERVICES ARE PROVIDED BY Business of Architecture ON AN “AS IS” BASIS. Business of Architecture MAKES NO REPRESENTATIONS OR WARRANTIES OF ANY KIND, EXPRESS OR IMPLIED, AS TO THE OPERATION OF THE SERVICES OR THE INFORMATION, CONTENT, MATERIALS, OR PRODUCTS INCLUDED ON THE SERVICES, INCLUDING THE ACCURACY (EITHER WHEN POSTED OR AS A RESULT OF THE PASSAGE OF TIME) OF ANY CONTENT ON THE SERVICES. TO THE FULL EXTENT PERMISSIBLE BY APPLICABLE LAW, Business of Architecture DISCLAIMS ALL WARRANTIES, EXPRESS OR IMPLIED, INCLUDING, BUT NOT LIMITED TO, WARRANTIES OF MERCHANTABILITY, FITNESS FOR A PARTICULAR PURPOSE, TITLE, NON-INFRINGEMENT, AND THAT ACCESS TO OR USE OF THE SERVICES WILL BE SECURE, ACCESSIBLE CONTINUOUSLY, UNINTERRUPTED OR ERROR-FREE. Business of Architecture MAKES NO REPRESENTATIONS, WARRATIES OR GUARANTEES AGAINST HUMAN AND MACHINE ERRORS, OMISSIONS, DELAYS, LOSSES (INCLUDING LOSS OF DATA), OR THAT FILES AVAILABLE FOR DOWNLOAD FROM THE SERVICES WILL BE FREE OF INFECTION BY VIRUSES, WORMS, TROJAN HORSES OR OTHER CODE THAT MANIFEST CONTAMINATING OR DESTRUCTIVE PROPERTIES. THIS DISCLAIMER OF WARRANTY CONSTITUTES AN ESSENTIAL PART OF THIS AGREEMENT. IF YOU ARE DISSATISFIED WITH ANY PORTION OF THE SERVICE, OR WITH ANY OF THESE TERMS, YOUR SOLE AND EXCLUSIVE REMEDY IS TO DISCONTINUE USING THE SERVICES AND, WHERE APPLICABLE, TERMINATE YOUR PRO ACCOUNT. TO THE EXTENT THAT YOU MIGHT OTHERWISE BELIEVE THAT ANY WARRANTIES, GUARANTEES OR REPRESENTATIONS HAVE BEEN MADE TO YOU, YOU HEREBY AGREE THAT SUCH STATEMENTS, WHETHER MADE ORALLY OR IN WRITING, ARE TO BE CONSTRUED AS MERELY NONBINDING EXPRESSIONS OF POLICY RATHER THAN AFFIRMATIVE REPRESENTATIONS, OBLIGATIONS, GUARANTEES OR WARRANTIES. IN THE EVENT OF ANY CONFLICT BETWEEN THIS SECTION 7 AND OTHER TERMS OR PROVISIONS OF THIS AGREEMENT, THIS SECTION SHALL BE CONSTRUED TO TAKE PRECEDENCE. IN NO EVENT WILL Business of Architecture BE LIABLE UNDER ANY THEORY OF LAW FOR ANY INDIRECT, INCIDENTAL, SPECIAL, PUNITIVE OR CONSEQUENTIAL DAMAGES, INCLUDING, BUT NOT LIMITED TO, LOSS OF PROFITS, BUSINESS INTERRUPTION, LOSS OF INFORMATION OR DATA OR COSTS OF REPLACEMENT GOODS, ARISING OUT OF THE USE OR INABILITY TO USE THE SERVICES OR RESULTING FROM USE OF OR RELIANCE ON THE CONTENT, EVEN IF Business of Architecture MAY HAVE BEEN ADVISED OF THE POSSIBILITY OF SUCH DAMAGES, OR FOR ANY CLAIMS BY ANY THIRD PARTIES. The Services are controlled and offered by Business of Architecture from its facilities in the United States of America. Business of Architecture makes no representations that the Services are appropriate or available for use in other locations. Those who access or use the Services from other jurisdictions do so at their own volition and are responsible for compliance with local law. YOU AGREE TO INDEMNIFY, DEFEND AND HOLD HARMLESS Business of Architecture, ITS OFFICERS, DIRECTORS, EMPLOYEES, AGENTS, AND SUPPLIERS FROM AND AGAINST ALL LOSSES, EXPENSES, DAMAGES AND COSTS, INCLUDING REASONABLE ATTORNEY’S FEES, RESULTING FROM ANY VIOLATION OF THIS AGREEMENT BY YOU OR ANY USER SUBMISSION POSTED OR SUBMITTED BY YOU (INCLUDING BUT NOT LIMITED TO INFRINGEMENT OF THIRD PARTIES’ WORLDWIDE INTELLECTUAL PROPERTY RIGHTS OR NEGLIGENT OR WRONGFUL CONDUCT). YOU AGREE THAT NEITHER Business of Architecture NOR ITS OFFICERS, DIRECTORS, EMPLOYEES, AGENTS, LICENSORS OR SUPPLIERS SHALL HAVE ANY LIABILITY TO YOU UNDER ANY THEORY OF LIABILITY OR INDEMNITY IN CONNECTION WITH YOUR USE OF THE Business of Architecture SERVICES. YOU SPECIFICALLY ACKNOWLEDGE THAT Business of Architecture SHALL NOT BE LIABLE, DIRECTLY OR INDIRECTLY, FOR ANY USER SUBMISSIONS OR THE DEFAMATORY, OFFENSIVE, OR ILLEGAL CONDUCT OF ANY THIRD PARTY AND THAT THE RISK OF HARM OR DAMAGE FROM THE FOREGOING RESTS ENTIRELY WITH YOU. YOU HEREBY RELEASE AND FOREVER WAIVE ANY AND ALL CLAIMS YOU MAY HAVE AGAINST Business of Architecture, ITS OFFICERS, DIRECTORS, EMPLOYEES, AGENTS, LICENSORS OR SUPPLIERS (INCLUDING BUT NOT LIMITED TO CLAIMS BASED UPON THE NEGLIGENCE OF Business of Architecture, ITS OFFICERS, DIRECTORS, EMPLOYEES, AGENTS, LICENSORS OR SUPPLIERS) FOR LOSSES OR DAMAGES YOU SUSTAIN IN CONNECTION WITH YOUR USE OF THE SERVICES. 12.1. In General. Our employees are not authorized to vary the terms of this Agreement. This Agreement may be modified only (A) by obtaining our written consent in a notarized agreement signed by an officer of Business of Architecture; or (B) as set forth below in Section 12.2. 12.2. Periodic Revisions. You agree that we may modify the terms of this Agreement from time to time, and that your right to access the Services is conditioned on an ongoing basis with your compliance with the then-current version of this Agreement. We will notify you of any material revisions or modifications to this Agreement by: (1) posting a notice on the BusinessofArchitecture.com website for thirty (30) days following any revisions or modifications to this Agreement and/or by posting a notice on BusinessofArchitecture.com the first time that you visit BusinessofArchitecture.com following such revisions or modifications; or (2) through a direct communication to you by email, if you have provided an email address to us. You will be deemed to have agreed to the new terms and conditions if you continue to access the Services after having been notified of such revisions or modifications by email or, if you have not been notified by email, after the passage of thirty (30) days from the time the revised terms and conditions are first posted on BusinessofArchitecture.com (whichever is sooner). If you do not provide us with a valid email address to send you information concerning revisions or modifications to this Agreement, then you agree that you will not receive notice by email. If you change email accounts, it will be your responsibility to notify us of a new valid email address in order to receive email notice. We assume no responsibility for your failure to actually receive notice. It is your responsibility to review this page for possible modifications. 13.1. In General. Certain portions of this Section 13 are deemed to be a “written agreement to arbitrate” pursuant to the Federal Arbitration Act. You and Business of Architecture agree that we intend that this Section 13 satisfies the “writing” requirement of the Federal Arbitration Act. For a period of 60 days from the date of receipt of notice from the other party, Business of Architecture and you will engage in a good faith dialogue in order to attempt to resolve the Dispute or Excluded Dispute, though nothing will require either you or Business of Architecture to resolve the Dispute or Excluded Dispute on terms with respect to which you and Business of Architecture, in each party’s sole discretion, are not comfortable. Arbitration. If we cannot resolve a Dispute as set forth in Section 13.2 above within 60 days of receipt of the notice (or, where no notice address exists for you, after such Dispute arises), then either you or we may submit the Dispute to formal arbitration in accordance with this Section 13.3. If we cannot resolve an Excluded Dispute as set forth in Section 13.2 above within 60 days of receipt of the notice (or, where no notice address exists for you, after such Excluded Dispute arises), then either you or we may submit the Excluded Dispute to formal arbitration only if you and Business of Architecture consent, in a writing signed by you and Business of Architecture’s General Counsel, to have that Excluded Dispute subject to arbitration. In such a case (and only in such a case), that Excluded Dispute will be deemed a “Dispute” for the remainder of this Section 13.3. Upon expiration of the applicable 60-day period and to the fullest extent permitted by applicable law, a Dispute will be resolved solely by binding arbitration in accordance with the then current Commercial Arbitration Rules of the American Arbitration Association (“AAA”). If the Dispute has a claimed value of not more than $250,000, then the arbitration will be heard and determined by a single neutral arbitrator who is a retired judge or a lawyer with not less than 10 years’ experience as a practicing member of the bar in the substantive practice area related to the Dispute, who will administer the proceedings in accordance with the AAA’s Supplementary Procedures for Consumer Related Disputes. If the Dispute has a claimed value of more than $250,000, or if Business of Architecture elects in its sole discretion to bear the costs of arbitration in excess of those that would occur for a proceeding before a single neutral arbitrator, then the arbitration will be heard and determined by a three member panel, with one member to be selected by each party and the third (who will be chair of the panel) selected by the two party appointed members or by the AAA in accordance with the Commercial Arbitration Rules. The arbitrator or arbitration panel, as the case may be, will apply applicable law and the provisions of this Agreement, will determine any Dispute according to the applicable law and facts based upon the record and no other basis, and will issue a reasoned award. If you and Business of Architecture do not both consent to the arbitration of an Excluded Dispute as set forth in the immediately preceding paragraph of this Section 13.3.A, then this paragraph and the remainder of this Section 13.3 will not apply to the Excluded Dispute. If a party properly submits the Dispute to the AAA for formal arbitration and the AAA is unwilling or unable to set a hearing date within 60 days of the filing of a “demand for arbitration,” then either party can elect to have the arbitration administered by the Judicial Arbitration and Mediation Services Inc. (“JAMS”) using JAMS’ streamlined Arbitration Rules and Procedures, or by any other arbitration administration service that you and a legal officer of Business of Architecture consents to in writing. The substantive practice area requirements for the arbitrator and the $250,000 threshold for the number of arbitrators assigned to the Dispute set forth in the paragraph above for the AAA arbitration will also apply to any such arbitration under JAMS or another arbitration service. Nature, Limitations, and Location of Alternative Dispute Resolution. In arbitration, as with a court, the arbitrator must honor the terms of this Agreement and can award the prevailing party damages and other relief (including attorneys’ fees). However, WITH ARBITRATION (i) THERE IS NO JUDGE OR JURY, (ii) THE ARBITRATION PROCEEDINGS AND ARBITRATION OUTCOME ARE SUBJECT TO CERTAIN CONFIDENTIALITY RULES, AND (iii) JUDICIAL REVIEW OF THE ARBITRATION OUTCOME IS LIMITED. All parties to the arbitration will have the right, at their own expense, to be represented by an attorney or other advocate of their choosing. If an in-person arbitration hearing is required, then it will be conducted in San Francisco, California; but if the applicable arbitration rules or laws require the arbitration to be conducted in the “metropolitan statistical area” (as defined by the U.S. Census Bureau) where you are a resident at the time the Dispute is submitted to arbitration, Business of Architecture shall have the right to elect to proceed to arbitration in such location. You and we will pay the administrative and arbitrator’s fees and other costs in accordance with the applicable arbitration rules; but if applicable arbitration rules or laws require Business of Architecture to pay a greater portion or all of such fees and costs in order for this Section 13 to be enforceable, then Business of Architecture will have the right to elect to pay the fees and costs and proceed to arbitration. Discovery will be permitted pursuant to the applicable arbitration rules. The arbitrator’s decision must consist of a written statement stating the disposition of each claim of the Dispute, and must provide a statement of the essential findings and conclusions on which the decision and any award (if any) is based. Judgment on the arbitration decision and award (if any) may be entered in or by any court that has jurisdiction over the parties pursuant to Section 9 of the Federal Arbitration Act. 13.5. Injunctive Relief. The foregoing provisions of this Section 13 will not apply to any legal action taken by Business of Architecture to seek an injunction or other equitable relief in connection with any loss, cost, or damage (or any potential loss, cost, or damage) relating to the Services, the Content, your User Submissions and/or Business of Architecture’s intellectual property rights (including such Business of Architecture may claim that may be in dispute), Business of Architecture’s operations, and/or Business of Architecture’s products or services. 13.8. Federal and State Courts in San Francisco. Except to the extent that arbitration is required in Section 13.3 above, and except as to the enforcement of any arbitration decision or award, any action or proceeding relating to any Dispute or Excluded Dispute may only be instituted in state or federal court in San Francisco, California. Accordingly, you and Business of Architecture consent to the exclusive personal jurisdiction and venue of such courts for such matters. Business of Architecture may deliver notice to you under this Agreement by means of electronic mail, a general or specific notice on the Services, a communication to your Business of Architecture account or by written communication delivered by first class U.S. mail to your address on record. You may give notice to Business of Architecture at any time via electronic mail to the following address: support@businessofarchitecture.com. Business of Architecture may terminate or suspend access to the Services immediately, without prior notice or liability, if you breach this Agreement or for any other reason. The failure of either party to exercise in any respect any right provided for herein shall not be deemed a waiver of any further rights hereunder. This Agreement is not assignable, transferable or sub-licensable by you except with Business of Architecture’s prior written consent. No agency, partnership, joint venture, or employment is created as a result of this Agreement and you do not have any authority of any kind to bind Business of Architecture in any respect whatsoever. The headings of the sections contained in this Agreement are for convenience only and shall not be deemed to control of affect the meaning or construction of any provision of this Agreement.